Many drugs are suitably administered for alcoholism treatment, one of which is the Campral drug. Campral, also known as Acamprosate is approved as part of the treatment regimen for alcoholism by the Food and Drug Administration agency. Campral has been used quite effectively for chronic alcohol abuse. It enables the patient to gain control over ethanol cravings. Campral reviews from users and medical professionals have crystallized its position as one of the top medication for alcohol withdrawal even amongst other highly effective brands in the U.S. What makes this drug so effective? How does Acamprosate work? What is Campral mechanism of action? What are Acamprosate side effects in the absence of alcohol? How to use Campral properly? At first, hearing the possibility of Campral being referred to as possibly more effective than Naltrexone for alcoholism, it stirs up a bit of curiosity. So, what is Campral? Simply put, Campral is an Acamprosate brand name, a medication administered explicitly to patients who are suffering from alcohol dependencies. The drug is used to control the craving for drinking. The compound name for Acamprosate calcium is calcium-acetyl-homotaurine. The drug regulates the activities of the nervous system, restoring chemical balance and acts similarly to gamma-aminobutyric acid (GABA) found naturally in the brain. In 1982 the pharmaceutical company known as Laboratoire Meran, in France, developed Acamprosate. The drug quickly became popular as it was approved in 1989 for use as a medication for alcohol cravings. The drug was approved in the U.S. in 2004 as it took on the brand name Campral and has since then been incorporated into studies and remedies for substance abuse. The Campral mechanism of action is different from that of other FDA approved alcohol medications such as disulfiram and naltrexone. The Acamprosate mechanism of action is still under research. However, the drug is reported to create a balance between inhibitory neurotransmitters such as GABA and excitatory neurotransmitters such as glutamate. 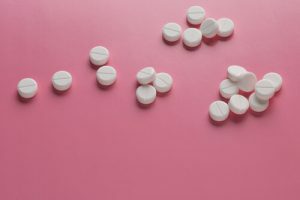 The Acamprosate mechanism also involves the modification of learned responses to alcohol cravings by creating a significantly reduced withdrawal distress. There is unconfirmed evidence that Acamprosate moa may induce neuroprotective properties as well as neuromodulatory effects. The chemical structure of Campral is represented as N-acetyl homotaurine, 3-acetylamino-1-propane sulfonic acid calcium salt. Its properties are quite similar to brain neurotransmitters, so this gives Campral the ability to influence the chemical balance of excitatory and inhibitory compounds in the brain, just the same way as Librium for alcohol withdrawal. Even though the precise mechanism of action is yet unknown neurotransmission is often stabilized. A statistical report of controlled trials showed that after the administration of Campral withdrawal symptoms wereas reduced significantly, the percentage of those who returned to alcohol reduced, and the duration of abstinence increased cumulatively. The significant difference between Acamprosate and naltrexone is on the gamma-glutamyl transpeptidase. Alcohol treatment centers have reported excellent safety status for Campral since the drug is not metabolized by the liver. Instead, it is excreted through the kidneys. Another notable report is that alcohol does not hinder or negatively affect the process of pharmacokinetics in the system, unlike other drugs used for the treatment of alcoholism. It is a known fact that the Acamprosate alcohol combination has no effect. Drinking while taking Campral is said to be relatively safe; this is because no interactions occur during the digestive processes. However, there are possible Campral side effects that may be experienced, especially in the first weeks of using this medication. These side effects are not uncommon as other alcohol treat medications also have their particular problems such as Antabuse reaction. Campral uses are mainly limited to the treatment of alcoholism. Campral dosages may be taken in conjunction with several other alcoholism treatment drugs. Acamprosate dosage should be prescribed by a medical professional only after the patient ceases alcohol and has gone through initial detox. Medical alcohol detox may come with strict rules that must be adhered to for safety. Campral may be taken with or without food. Some alcoholics who may have tried cold turkey while using a wrong dosage may not get the best results from this medication. So, what is acamprosate standard dosage? The appropriate Acamprosate dosing is two 333mg (total of 666mg) three times daily. Route of administration is oral. Certain cough medications that contain alcohol may be harmful when taken together with substance abuse therapy such as alcohol and Topamax. This is equally applicable to Campral. It is a fact that the mechanism of action of Campral generic remains uncertain. Many studies have actively compared acamprosate and placebo to see if there would be significant long-term effects that might prove the inefficacy of Acamprosate as a dependable treatment regimen for alcoholism. Most research concluded in favor of the drug. Unlike alcohol withdrawal diazepam which has a known moa, the bone of contention for Campral remains its assumptions to how it works. 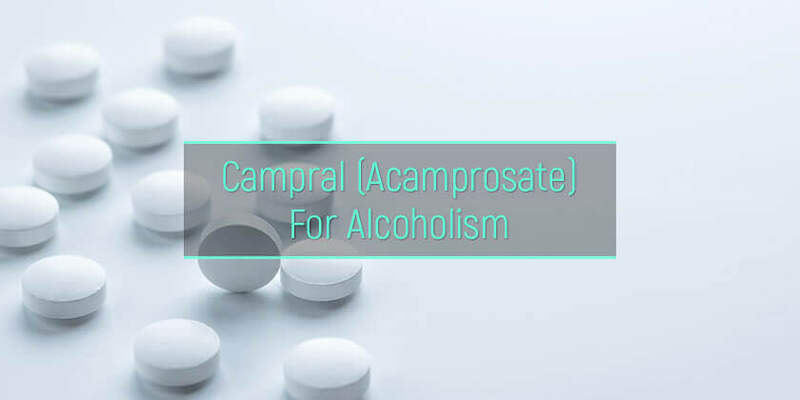 Acamprosate is administered alongside other drugs for the treatment of alcoholism and is thought to restore the chemical balance among neurotransmitters in the brain. There is no food requirement for substance absorption or metabolism in the body. The bioavailability of the drug, after general administration through the oral route, is 11%. The drug is not digested and therefore does not interact with other substances that go through regular, liver-supported digestion such as alcohol. The major excretory route for Campral is the kidneys. Acamprosate price is estimated at $287 for 180 tablets of 333mg. The medication should only be administered by professional medical care personnel for safety purposes.